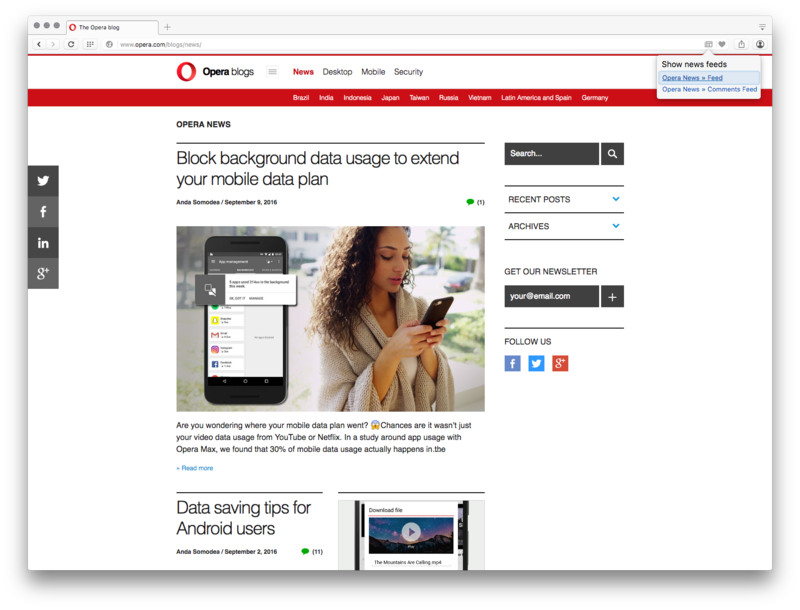 In the latest version of Opera 39 developer, we’re bringing you new functionality in the personal news feed, and a much wanted global preference for browser VPN. We’ve continued our work on personal news, one-stop news tailored just for you. There are various improvements and tweaks waiting for you to try out, including updated layout, the option to remove suggested sites and a better way to add and remove sources. This update also introduces a new top 50 stories feature. This gives you top picks for a selected country and is a nice way to look for inspirations or interesting articles to read. This top 50 content is separated from your personal feed, but you can easily add sources you like from it to your personal feed. Opera’s service, which powers the personal news feed, checks over 10,000 news sources to find trending and interesting articles from different categories and countries. Various aspects are taken into account before article or piece of news gets on the list, such as popularity among users, including hot topics (e.g., important sport events), freshness and website popularity. We also try hard to balance different articles and source, so single news or site will not dominate the whole list. You can expect mostly news, sports and entertainment along with interesting stories from other categories. We’re still developing the feature so keep an eye on following updates. Also keep the comments coming they are very helpful for us. Since we introduced native ad blocker, we have got a lot of requests to have a possibility to add custom lists. First we introduced an option to load them from a local file, today we add functionality to load it from any URL. Just make sure you have advanced settings turned on, then in the “Custom block lists…” dialog you can add any address, which contains ad-blocking rules in EasyList format. Usually, such files contain modification date as well as the update frequency. These values determine how often the list will be automatically updated. If the list definition says that the list expires in 4 days, that means it will be updated every 4 days starting from the last modification date mentioned in the document. Thank you very much for the feedback about how you’ve been using VPN. 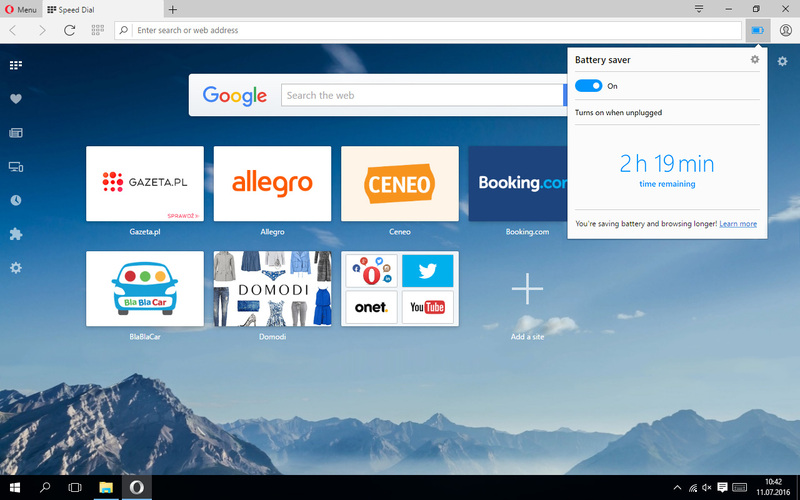 We also promised that we are going to offer both functionalities: a full browser VPN and a separate one that works within a private window only. This release contains them both, and we would appreciate your feedback on this improvement, too! In the previous release comments, you have reported general slowness when browsing with the adblocking feature on. This has been fixed – please check out the newest version and let us know if everything is OK for you. Chromium has been updated to 52.0.2739.0. 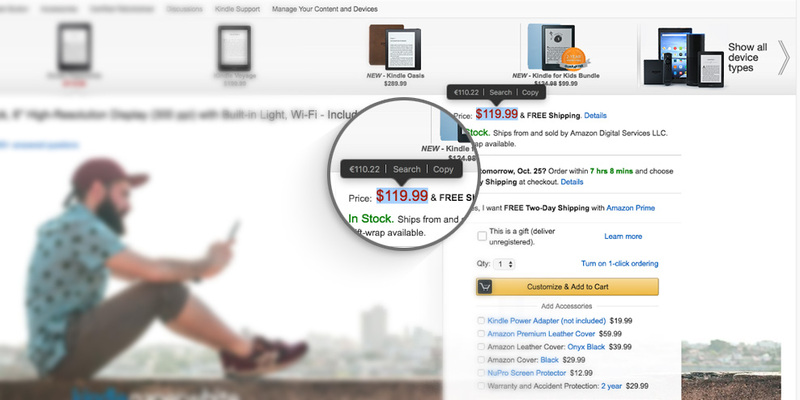 – VPN badge is always visible. It is a bug, and we are going to fix it, so you will be able to tune it in preferences. – Source labels in personal news are sometimes misplaced. – Top 50 has hiccups and doesn’t show anything in some countries. – Top 50 shows news according to language selected in the catalog. – A number of strings is not localized.